Anything we read about rail travel these days seems to be bad news, but if Kenilworth does get it's own Railway Station will that be some good news for a change? Here's what we know. The KWN and Coventry Telegraph both reported the latest news a few days ago. In those text only articles, it seems a planning application is in progress with a build for 2013 if someone finds the funding (£3.8m). 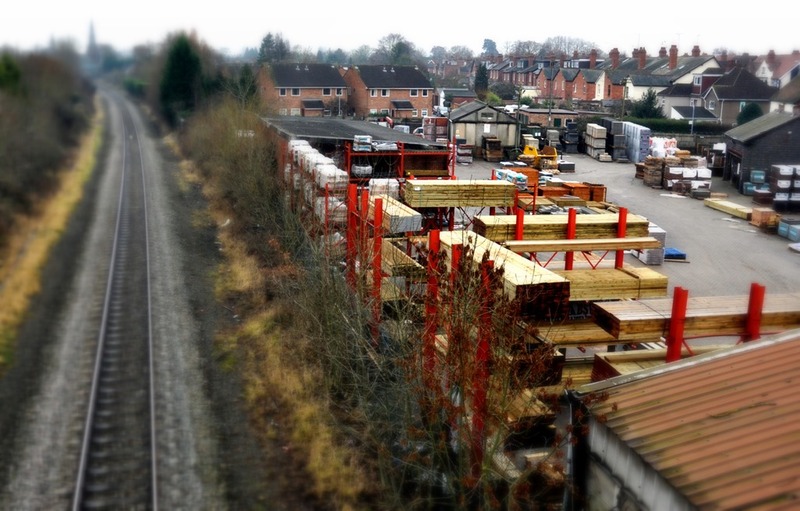 The Bailey Buildbase may move to the empty unit in Warwick Road. Public Consultation ends on 7 Jan with WCC planning committee approving or refusing on 8 February 2011. So, where are these plans? Perhaps it's just me, but any public information from WDC or WCC is so frustrating to find (in this digital Google age, information like this should be found in less than a minute). Finally, I have found a WCC Planning and Development page and then what I am looking for - Monitoring Progress of Planning Application WDC/10CC067. There are eleven further documents - these are the highlights: Drawings, Design and Access 37 page booklet (old photos, some history, computer graphics) and some Cultural Heritage. For the public to comment on the application, click here - copies are available on the web, local libraries and in person (contact Sue Broomhead WCC Planning, tel 01926 412934). And there you have it, if you still want more, see the Wikipedia page for Kenilworth Railway Station. And in case you are wondering, the railway line connects Coventry to Leamington which takes 11 minutes, making the new station accessible to Cov or Leam in five minutes. Why not make 2011, The Year of the Online Comment - and leave one here, click below. great news.... have they found funding yet?